Your ever reliable Core Transit, Inc. has the experience and commitment to serve your non-emergency transportation requirements. Established for many years now, Core Transit, Inc. knows even the tiniest detail of transportation. We are road experts as we know the shortest, safest routes to get you anywhere you need to go. We also have been highly regarded to provide non-emergency ground transportation and our current clients can attest to this. Core Transit, Inc. has the staff members who are all trained to handle various transportation and mobility situations. They are capable of fast and efficient work while ensuring safety along the way. We regularly conduct trainings and seminars to all our staff as to continually improve their capabilities. Core Transit, Inc. staff members are patient, calm but quick, understanding, honest and compassionate. Core Transit, Inc. has the state-of-the-art vehicles too. Included here are our advanced equipment that has passed the standards and conditions set by the state of Oklahoma. 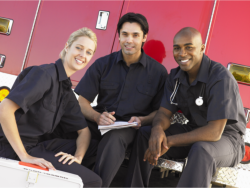 We regularly check and maintain our equipment and transport devices to avoid hassle on the way. But more than those mentioned, choose Core Transit, Inc. because we are one of the very well-regarded and licensed transportation services companies in Edmond, Oklahoma. Please call 405-513-8606 for inquiries and requests.